Share "How to Make Cotton Candy "
At your next big get-together, block party, birthday bash, or fundraising function make sure that you rent a cotton candy machine! Here's an easy way to making this sweet-tooth treat that will make you the hit of the party. Using a damp cloth, moisten the inside of the floss pan. This will cause floss to adhere to the pan. After following the operating instructions, you are ready to begin making the floss. Pay attention to the direction of the floss as it is spun off the floss head. It should be thrown against and adhere to the side of the floss pan. Attached to the top plate of the spinner head are two floaters - these give additional air current for floss control. Twisting the leading edge of the floaters down will give more lift and floss will go upward - twisting down, the floss will go down. Practice will give good control. To pick up floss, once you practice, you can become an expert at rolling the web of candy onto the cone. Pick up the cone, holding it an inch or two at the pointed end between your two fingers and thumb. With a light flicking action, break into the web of floss that is building up in the pan. Usually some floss will stick to the cone, if not, brush the cone over a damp sponge first. Lift up the cone with the ring of floss attached, and, by rotating the cone, wind the floss onto it. Do not roll floss on the cone inside the floss pan, roll it on outside of the pan only. When you have practiced a bit, you might rather prefer to lift the ring of floss out of the pan with a flick of the wrist, turn the ring into a figure 8 and whip it around onto the cone. This leaves air pockets making it appear that you are building a bigger web. When stopping operation for the day or any prolonged period, it is a good idea to run all of the sugar out of the floss head. When empty, turn heat to the highest setting for approximately one minute to remove carbon from the ribbons. Never allow water to enter the floss head. A damp cloth will be sufficient to wipe off floss head after use, but be sure to unplug main electrical supply cord first. Make sure all parts are dry before resuming operation. Sugar for cotton candy fan be any 100% pure cane or beet sugar. Regular granulated us recommended but avoid the Extra Fine Granulated or Bottlers Fine, and the so-called "free flowing" as they main contain cornstarch which will burn and clog the ribbons. Coarser sugars such as coarse, medium coarse, or sanding sugars can be used but will require a little more voltage to the head for best production. Premixed sugar, coloring and flavorings are available by asking your Rental location for availability. If you wish to "mix your own" using the manufacturer's "Flossine" and your sugar, follow directions carefully and mix well. About a tablespoon of water per five pounds of sugar will bring out bright colors. Do not use excess color as it will not deepen the color of the floss since cotton candy is 98% air. If you flavor your own candy, avoid using flavors that have a gum or starch base which will burn on the ribbons. 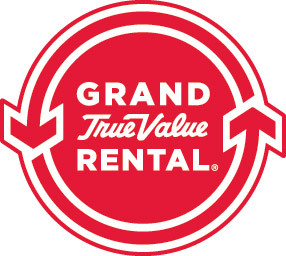 © 2019 Grand True Value Rental Farmington, MO. All rights reserved.